With only a few weeks remaining until the release of the Alpha Omega generation 3 remakes of Pokemon Ruby Sapphire, Nintendo has finally gotten around to sending out some Special Demo codes for Pokemon Omega Ruby and Alpha Sapphire. So before the game comes out, here’s everything you need to know about the Demo – good and bad. The plot of the Demo is fairly standard as you assist Steven Stone in thwarting Team Aqua and Team Magma from capturing a Mega evolving Pokemon. Steven is more than happy to assist you by giving you evolved starter Pokemon to pick from. By time you make it to the last few battles, your Pokemon will evolve into its final stage, which will then prompt Steven to give you a Mega Stone as well as teach it a new finishing move. With Steven and his Shiny Mega Metagross assisting you, the battles aren’t even remotely difficult. The most difficult for me – having selected Plant for my starter – was facing off against a Lv 40 Glalie. Though despite Stephen’s advice – and all prior Poke-catching knowledge – it doesn’t actually take much to capture Glalie. I barely dealt it any damage at all and the Pokeball still worked without incident. The journey is rather short, but additional playthroughs are allowed where you can help Stephen with other errands – ie: training, finding lost people and pokemon, etc. You get the keep the Glalie you just caught as well as the final forms of all other starter Gen III Pokemon. Though the post demo challenges become incredibly repetitive and futile especially since you don’t keep any experience earned on additional play throughs. Despite flying on Latios/Latias with Steven, we don’t get to fully explore or control what the new flight feature entails. Though we do still get to see some cool new features both to the series as well as to Gen 3. 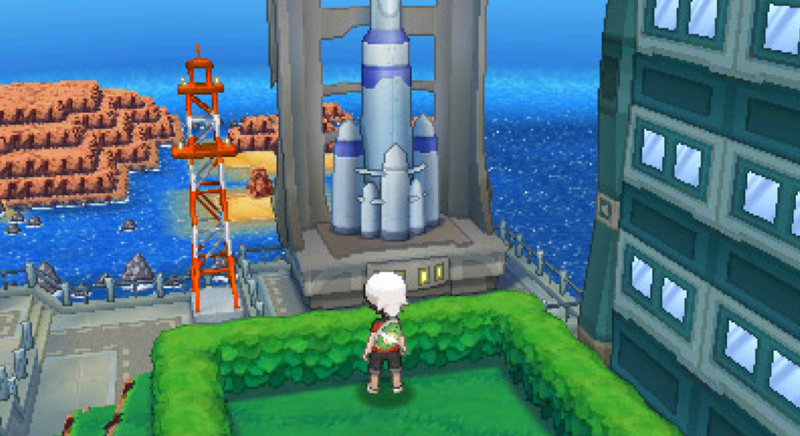 For starters, the graphics are really great for Hoenn and honestly serve this game better than they did for Pokemon XY. Even though we only see Mossdeep City, its amazing to stand on the overlook point and see the entire city and surrounding areas. Another feature that seems to appear in this game – yet isn’t explained – is the new sneak feature. While in tall grass you can now walk slower than your normal pace in order to sneak up upon certain mystery Pokemon that make itself known by appearing as a shadow on the grass. If you approach too quickly they’ll run away. Then again, it doesn’t matter much in this game since the Pokemon encountered through these means don’t stand out at all – not shiny, rare or even a higher level. Will this feature be changed in the full game to have a purpose, we’ll see. Beyond all this, there are a lot of mentions to thinks that will/might be explored in the full game – Primal Reversion and mysterious disappearances respectively. You can also bump into gym leaders in the game who ‘say’ they’ll remember you, but again this remains to be seen. Overall it was a fun little preview of the game to come; but in no way represents the full scope of the full versions. As for special completion gifts, you get to keep the Glalie you captured as well as some random gifts you receive dependent upon the number of playthroughs you’ve completed (pokeballs, heal balls, heart scales, etc). There is word that you’ll receive an extra gift if you play each day; but considering not everyone received these demos at the same time, I’m a little suspect. Judging by screenshots game looks really beautiful unlike previous Pokemon versions I played all were in 2D graphic. I think I’ll play this one! Do you know how many Pokemon species does this game have? Is it going to have ones from generation 1 maybe? Thanks again for your time to reply! PS: If you want to read about the Delta Episode and some of the Legendaries and post game, here’s the link.